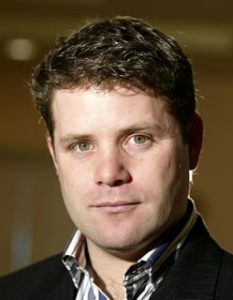 Actor Sean Astin is famous for his appearances on The Lord of the Rings trilogy as Samwise Gamgee, and Mikey Walsh in The Goonies. He also portrayed the titular character, Daniel Ruettiger in Rudy. Astin was born Sean Patrick Duke on February 25, 1971 in Santa Monica, California. His mother was actress Patty Duke. He has been married to former Miss Indiana Teen USA winner Christine Harrell since 1992. They have three daughters named Alexandra, Elizabeth, and Isabella. He attended Crossroads High School for the Arts. He earned his bachelor’s degree in History and English from University of California. *He is the son of Michael Tell and actress Patty Duke. *He was raised by his stepfather, actor John Astin. *He landed a role as a child in The Goonies. *In the late 1980s, he started his own production company, Lava Entertainment.